Canada and Australia often learn from each other on immigration and related policies (e.g., Express Entry, the point-based system for speeding up the selection process for selecting economic class immigrants) but there are significant differences as this article attests. 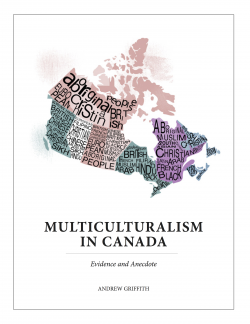 The author argues that Australia should learn from Canada’s Provincial Nominee Program to diversity where immigrants settle. Today, 28 per cent of the Australian population was born overseas. The key issue for Australia is that immigrants are more likely to live in large cities than smaller cities or regional areas. According to the Australian Bureau of Statistics, 85 per cent of immigrants live in major urban areas, compared to just 64 per cent of Australian-born people. Indeed, according to the International Organisation for Migration (IOM), Sydney is now equal-fourth in the world (with Auckland and Los Angeles) with the highest percentage of foreign-born residents (39 per cent), while Melbourne is not far behind (35 per cent). Nearly two-thirds of residents in Sydney, Melbourne and Perth have at least one parent who was born overseas. According to immigration statistics, 34% of economic migrants in 2017 landed in destinations outside Canada’s three most populous provinces, Ontario, Quebec and British Columbia – compared to just 10 per cent in 1997. One of the biggest success stories of the Provincial Nominee Program is thinly populated Manitoba, which has added 130,000 migrants since 1998. Ninety per cent have gotten a job within a year of arriving and nearly the same number has ended up staying in Manitoba permanently. New arrivals also express some of the greatest feelings of belonging of all immigrants in western Canada.